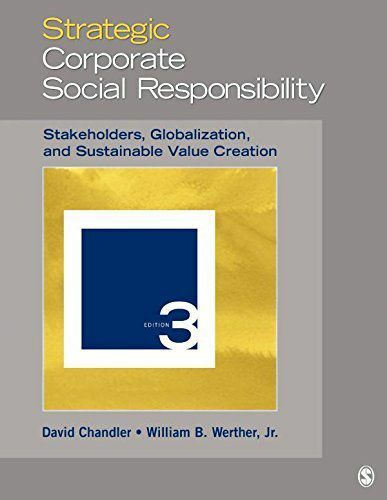 David Chandler, Jr. Werther and William B.
Blending theory with practical application, Strategic Corporate Social Responsibility, Third Edition supports courses at the intersection of corporate social responsibility (CSR), corporate strategy, and public policy. Authors David Chandler and William B. Weather, Jr., provide an overview of the field by defining CSR, placing it in the context of wider corporate strategy, and covering its core concepts and practical challenges. They then illustrate the extensive and dynamic nature of CSR through 21 detailed issues and engaging case studies. These case studies capture contentious debates across the spectrum of CSR topics and culminate with a series of questions designed to stimulate further investigation and debate. Author: David Chandler, Jr. Werther and William B.